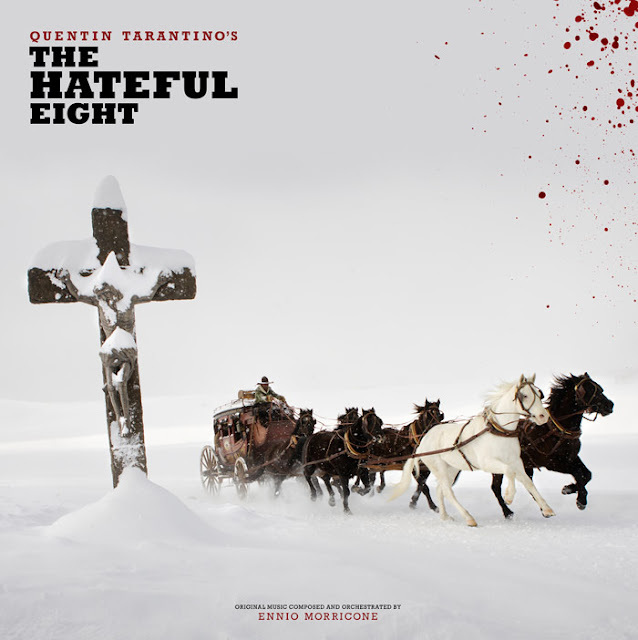 Yesterday, December 2nd, Quentin Tarantino and Decca Records announced the official release of the original soundtrack Tarantino's latest cinematic offering, The Hateful Eight. Luckily for me, fellow audiophiles and vinyl soundtrack connoisseurs, The Hateful Eight will also be getting a vinyl treatment from Third Man Records. Third Man has also teased a Limited Edition release of the vinyl will be coming, but no absolute details as of yet. Chances are it may be the next Vault Package, which would be killer. For now, you can pre-order the standard double LP at Third Man Records. Ennio Morricone recorded original music for The Hateful Eight, the first time creating an original score for Quentin Tarantino and marking the first time he's scored a Western in 40 years since The Good, The Bad and The Ugly. The soundtrack is slated for release on December 18th on CD, Vinyl and Digital. The Hateful Eight film will be released on December 25, 2015 screening exclusively in 70 mm film and will open wide on January 8, 2016.